The Worlds Most Powerful High Performance Catridge Filters. B/STOCK REDUCED PRICE DUE TO NO OUTTER PACKAGING. Every Pleatco filter uses ADVANCETM filter meadia which has the highest fiber count per unit to maximises filtration offering greater dirt holding capacity leaving your water clean and clear! Combine this filtration with the FREE FLOW CORE® for low pressure and higher flow rates you can be assured that your pump is working with less wear and tear. 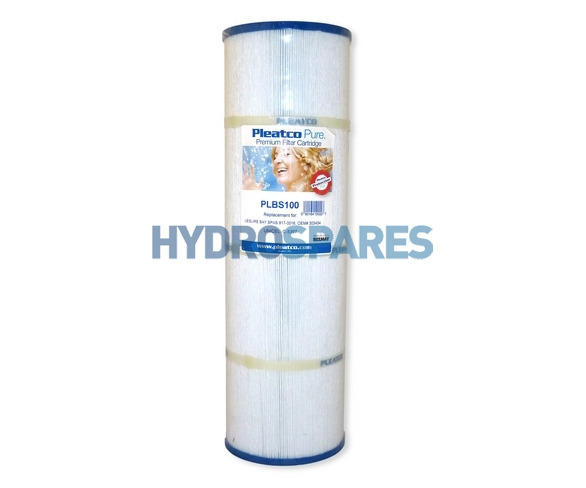 Please note that the threaded spigots used on Pleatco filters are removable and reusable!, They click into position on the filters. Therefore yours might still be in the filter housing of your spa after removing your filter. This is a great feature and great news if you have accidently ordered the incorrect thread pattern. Please see below for detailed information on this filter.